We became interested in morse code and began learning how to use it by tapping rocks and writing dot-dash-dot messages, so we decided to build a proper telegraph system. But we didn’t want just any telegraph, we wanted something cool that looked good and that we could use at a distance. 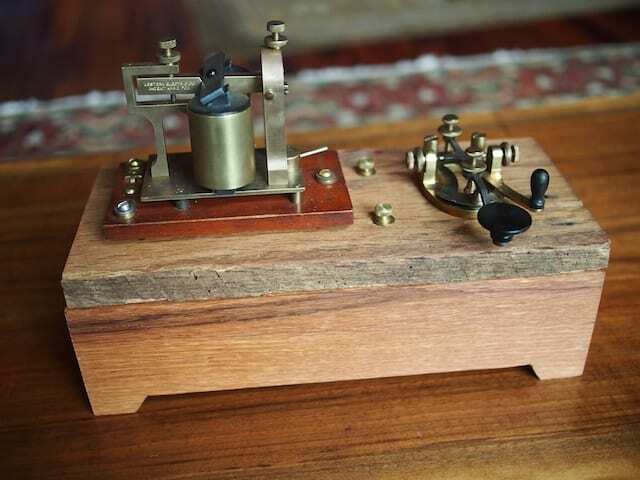 We scoured eBay and found two authentic telegraph keys and sounders from the 1800’s. We cleaned them up, rewired them, got them working, mounted them, and then integrated them into an Arduino microcontroller and xBee RF radio so that they would function wirelessly. Our friend Danny made us some awesome wooden boxes out of the wood from an old barn on our property. We mounted the electronics on copper and brass plates that we machined on our CNC. Then we soldered it all up, programmed the Arduino, and ran our initial tests. The results were excellent. We can now communicate via telegraph even when my sister and I are in our separate rooms, which are on opposite sides of the house, and when we are outside. 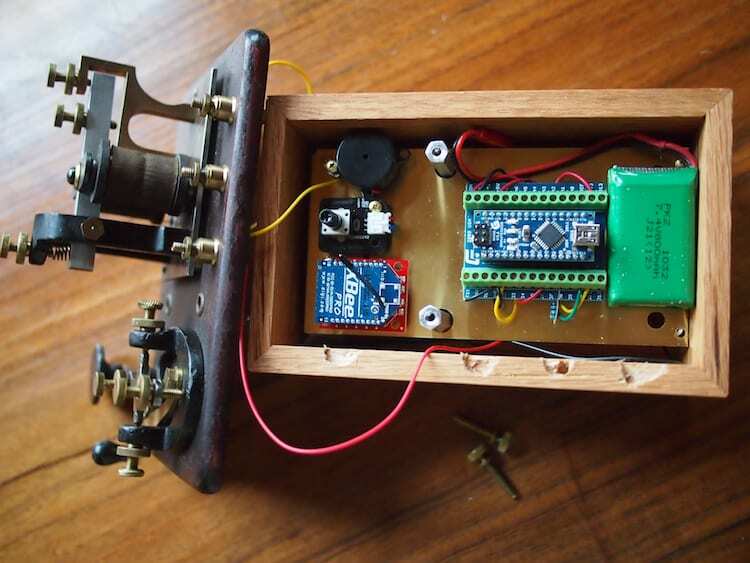 Here are two postings from our Workshop blog as we were building the telegraphs. I’ve put some pictures of the nearly completed telegraphs below. We aren’t quite done yet. There’s still a few more things to do, but they are looking and working great so far. Love this project and your work. I think this would be a fun learning tool that kids could interact with at living histories without the fuss and danger of connecting wires across an event.